One of the most life-changing beauty lessons we've learned in our time covering countless product launches and chatting with the pros? It doesn't matter how amazing your foundation is or how perfectly you apply it—if your skin isn't properly prepped and hydrated, there's no way your makeup will ever look its best. We know that it sounds almost too simple to be true, but the cake-free results speak for themselves. That means your skincare regimen is just as important as your makeup routine. In addition to using a gentle cleanser daily—and an exfoliating product to slough off dead skin cells two to three times a week—look for a pre-makeup moisturizer that gets to work as soon as it hits your skin. Our product of choice? Featuring deep-acting aloe water and hyaluronic acid, L'Oréal Paris Hydra Genius Daily Liquid Care Moisturizer for Normal Skin absorbs instantly to smooth your skin and boost moisture for up to 72 hours. For a radiant-looking complexion that lasts (even on those dreary winter days), start with a layer of Hydra Genius Daily Liquid Care to create an even base with zero residue. Follow with your favourite foundation, starting at the centre of your face and blending outwards. 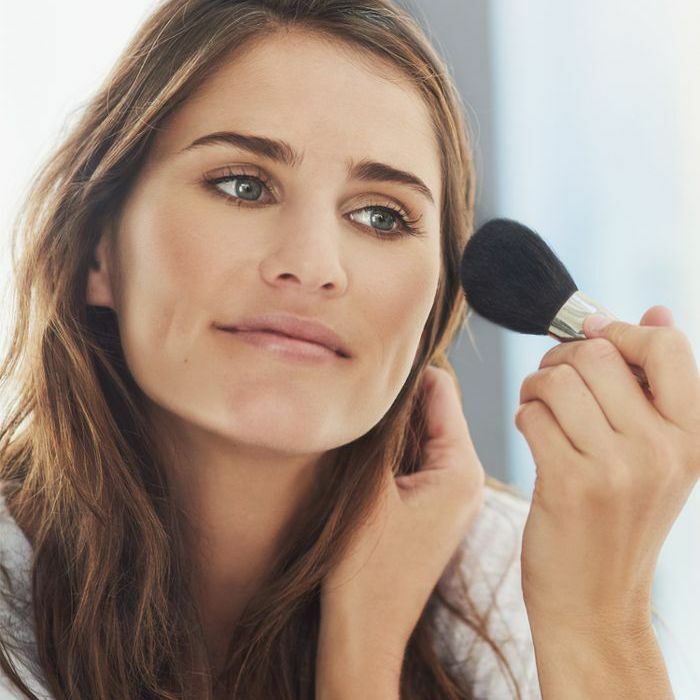 Add a touch of concealer to hide any lingering discolouration or blemishes, and top with a light coat of powder to set your makeup and eliminate shine. Learning that the right moisturizer can keep your skin healthy and prevent your makeup from looking caked-on? Sometimes the things that make the most sense really are the most mind-blowing. L'Oréal Paris Hydra Genius Daily Liquid Care Moisturizer ($24) is available at mass, drug, and grocery retailers across Canada.